The aviation sector has recently heralded the usage of Additive Manufacturing (AM) as a game-changer, promising performance and cost benefits. In line with its vision of “An Innovative Aerospace Community for a Sustainable Future”, the Association of Aerospace Industries Singapore (AAIS) is partnering with NAMIC to promote a Joint Industry Programme (JIP) towards developing certified components through AM. The objective of this JIP is to equip industry members with the necessary skills, and focus on manufacturing parts utilising AM as part of the MRO ecosystem. The programme will be supported by government agencies Civil Aviation Authority of Singapore (CAAS) and Workforce Singapore (WSG). 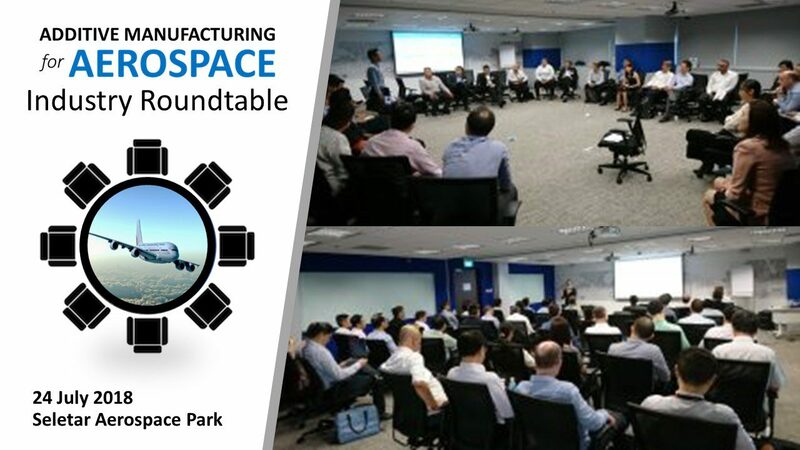 The event will be held on 24 July 2018 at SAP Business Centre – Level 3 JTC Aviation TWO @ Seletar Aerospace Park.